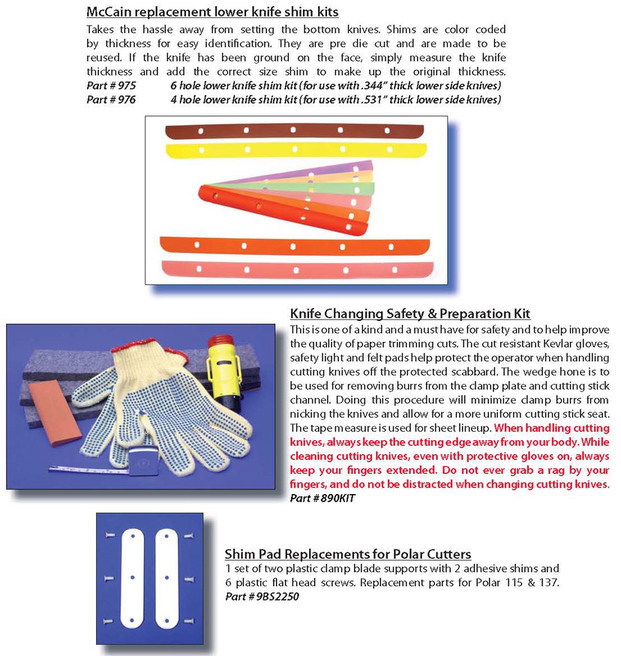 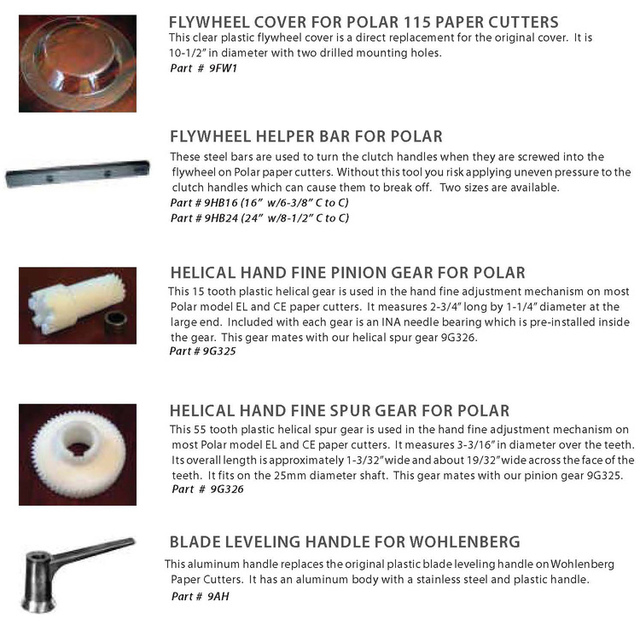 Jorson & Carlson carry a large inventory of guillotine and trimmer cutter replacement parts. 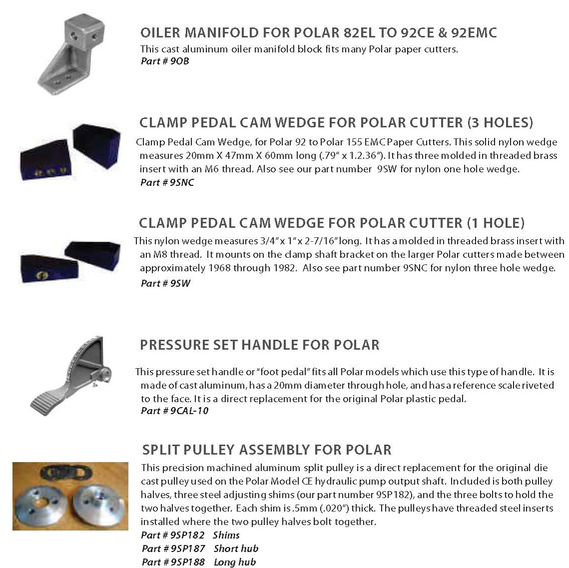 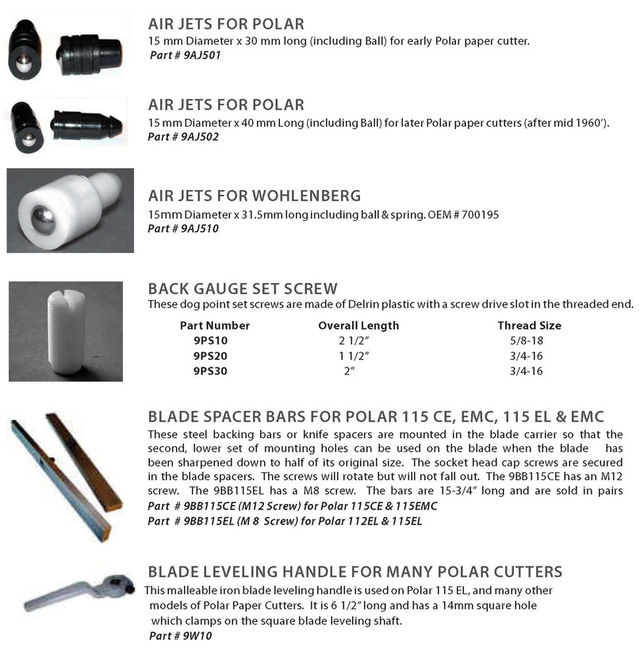 Product range from Air Jets for Polar and Wohlenberg, Blade Setting Gauges and Blade Spacers, Flywheel covers for Polar cutters, Shim Pads for Polar, Lower Knife Shim Kits for McCain, Drive Plugs, Carbon Brushes, Clamp Foot Pedal and more. 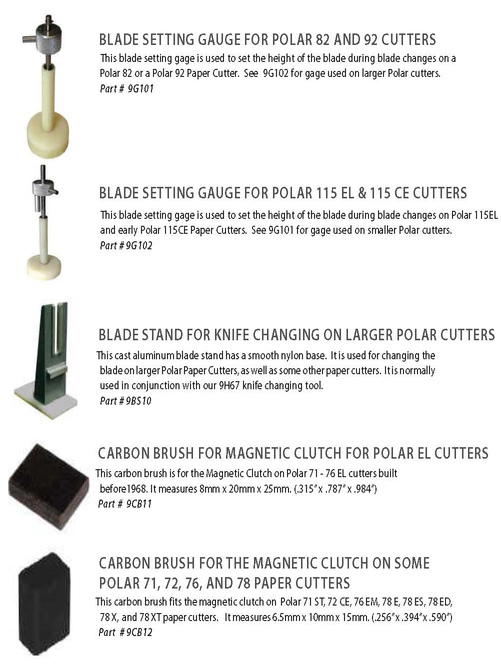 Call one of our Bindery Specialist for more details, inventory and price. 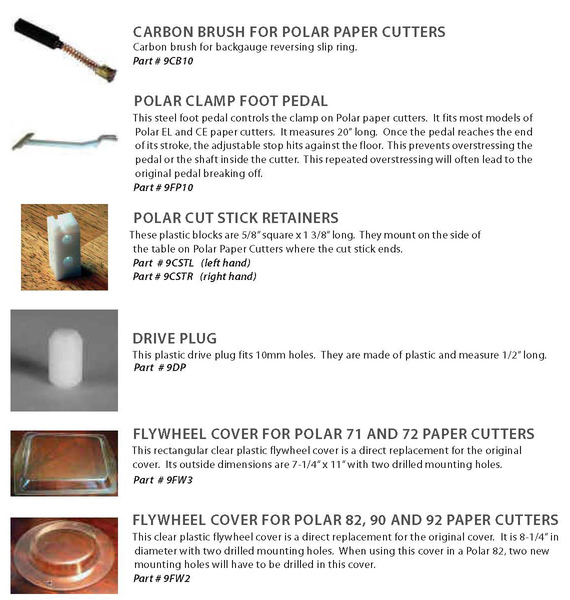 See below a thumbnail sketch of some of the Paper Cutter Replacement Parts at Jorson & Carlson.